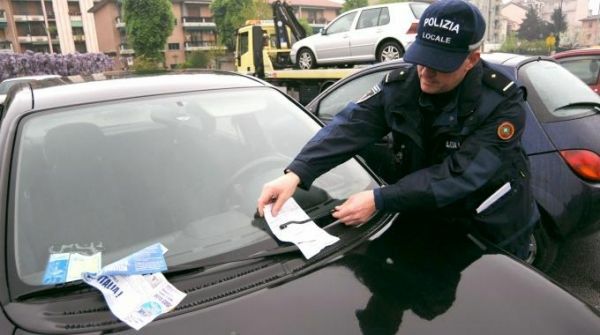 Milan city hall has just mailed scores of “friendly last warnings” to motorists who have still not paid their 2012 traffic fines. This is the first time the city authorities have decided to give the culprits a cost-free last chance before bringing out the heavy artillery – a court injunction for payment which, apart from court costs, adds 10 per cent interest for every six months since the original notice was served. As of this week, the usual 30-day deadline for payment of current fine has also been increased by another 45, for a total of 75 days from the date of delivery of the reminder as certified by the post office stamp. This, the comune warns, is to give everybody one last chance to pay up (or file an appeal) before the lawyers get to work. Since the flood of reminders is causing long queues in the municipal police office in Via Fiuli 30, where motorists have rushed to pay up or protest their innocence, the city administrators have offered yet another helping hand: the office will now be open Monday to Saturday from 08.00 to 16.00, and will not close until the last person in the queue has been served. The counters have also been increased from 14 to 19 or 20, and a second waiting room has been opened so that people no longer need to wait outside in the cold until their number comes up. Even before visiting the police office, city hall suggests motorists visit the web page MultaSemplice, which offers advice on the most frequently asked questions. There are also forms which can be filled in and faxed or emailed if they can demonstrate that the fine is not applicable to them.